Kellogg's Nutri Grain Bar 1.3 oz. 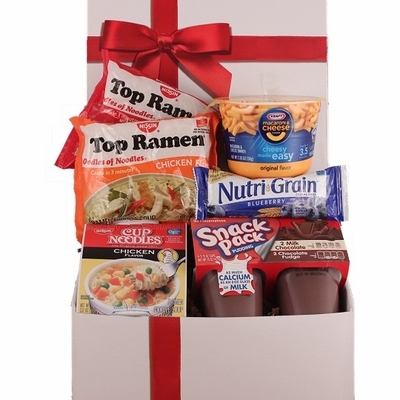 Gift Size 9" X 9" X 4"
College Care Packages are easy to send and will keep their spirits up while keeping thoughts off their tummy and on their homework. Okay, we had to say that just to make you parents out there feel better but they really will love receiving a care package sent from you.